The decision by the Higher Academic Council of Ukraine to name Lithuanian president the Person of the Year is the appreciation of the country's support to Ukraine, Lithuanian President Dalia Grybauskaitė says. "This appreciation is the appreciation of Lithuania, the appreciation of the people of Lithuania. It's the appreciation of the whole of Lithuania. It is, therefore, very important that the war on the Ukrainian soil ends as soon as possible to stop the deaths, for people to be able to restore the country's territorial integrity, and for the foreign country to stop telling Ukraine how it should live and the people of Ukraine should build their country," the Lithuanian president told the national radio LRT on Thursday. In her words, it's symbolic that the news about her award was announced on 13 January when Lithuania marks the Day of Freedom Defenders. "Therefore, this award gives me the right to say once again that we know what it means to fight for freedom. That's why we are helping the people of Ukraine as they have decided to do so themselves. It's the appreciation of the whole of Lithuania as we are supporting Ukraine not only with words but also with real work which involves not only financial assistance but also our knowledge and the reform experience," she said. 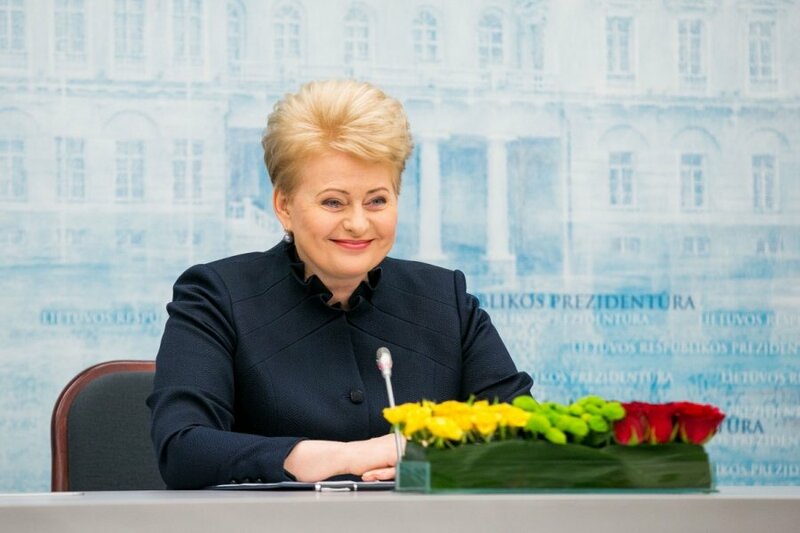 The Lithuanian president was named the Person of the Year by the Higher Academic Council of Ukraine, which consists of eminent intellectuals, public figures, members of the academic community, for her strong and unwavering support to Ukraine's independence at public and political level. Former recipients of this honourable and prestigious award include Pope John Paul II, Polish President Aleksander Kwasniewski, Georgian President Mikheil Saakashvili, Lithuanian President Valdas Adamkus, European Union's High Representative for Foreign Affairs and Security Policy Javier Solana, Secretary General of the Council of Europe Walter Schwimmer, U.S. Senator John McCain.